1-19-16 NRC - RMC SMM Webinar "I Can Fix That"
The RMC is Pennsylvania’s proven leader in Electronics Scrap Recycling Markets Development, providing technical assistance and consultation. Click Here for more information, downloadable Agenda and online Registration. Senator Richard Alloway, II (R – Adams, Cumberland (part), Franklin (part),York (part) Counties) is holding a press conference on Senate Bill 800, the “Waste Electronic Equipment Recovery Act.” Senator Alloway is the prime sponsor of the Bill. Please consider attending to show your support for Pennsylvania e-waste recycling legislation. The Pennsylvania Senate Environmental Resources and Energy Committee is holding a public hearing on the Waste Electronics Equipment Recovery Act (Senate Bill 800) and updates to the Covered Device Recycling Act (Act 108 of 2010). The meeting announcement can be found here. (Harrisburg, PA) – In an unprecedented alliance of solidarity, five (5) of Pennsylvania’s recycling, litter, and waste management organizations representing key stakeholder factions affected by the Covered Device Recycling Act (CDRA), Act 108 of 2010 have united in disapproval of CDRA and its proposed amendment, (HB1900 Ross). 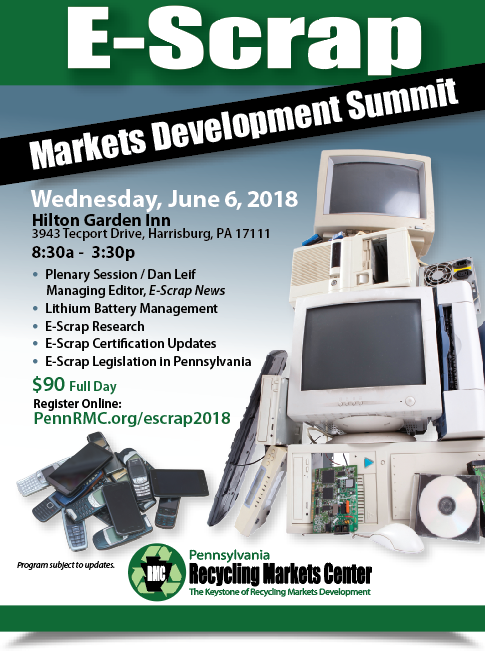 The Electronics Recycling Association of Pennsylvania (ERAP); Keep Pennsylvania Beautiful (KPB); the Pennsylvania Recycling Markets Center (RMC); the Professional Recyclers of Pennsylvania (PROP); and the Keystone Chapter of the Solid Waste Association of North America (SWANA) are in consensus on the steps necessary to revamp and greatly improve access to electronic waste recycling opportunities for Pennsylvania citizens. “CDRA inadvertently created an environment in which a once growing, Pennsylvania electronics waste recycling industry nearly collapsed,” stated Ned Eldridge, ERAP President. 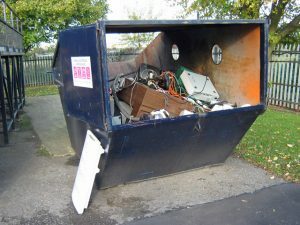 “This forced counties and recyclers across Pennsylvania to reduce or abandon their once productive programs.” According to a recent survey conducted by RMC in conjunction with Penn State, many e-waste collection sites and services are now inadequate to handle all devices as covered by the law and in many counties have ultimately ceased. The full list of concerns and recommendations are available at http://www.ewastepa.org a website developed by KPB to help educate the public about CDRA and related issues. Comprehensive service coverage through a state organized system of services which assure that collection sites would operate in each county with or without the need for local government resources and responsibility. Shared consumer responsibility for the program through inclusion of a reasonable point-of-purchase fee dedicated to fund administration, enforcement, education, and research/development but not the cost of recovery and processing which would remain the responsibility of the OEMs. Retailers should retain a portion of the fee (suggested $ 0.03) as compensation for their costs. Each organization welcomes feedback and questions concerning electronics waste recycling issues; questions should be directed through the Pennsylvania Recycling Markets Center at rbylone@pennrmc.org or 717.948.6660. (HARRISBURG, PA) – Over the last 5 months the Pennsylvania Recycling Markets Center (RMC) in partnership with the Center for Survey Research at Penn State Harrisburg completed a state-wide survey of Pennsylvanians to understand how much e-waste is likely destined for Pennsylvania recycling programs. Less than half (44.4%) of Pennsylvanians know where to recycle electronics. 65% of Pennsylvanians are willing to travel 10 miles or less to recycle electronics. 50% of Pennsylvanians reported they do not want to pay anything to recycle their electronics. With few “no charge” collection sites across the state that accept all electronics specified in Pennsylvania’s recycling law; a local distance a recycler is willing to travel, and half of Pennsylvanians not willing to accept an electronics recycling charge, electronics recycling is challenging at best. Residentially, there are approximately 6.8 million tube televisions and tube computer monitors (CRTs) combined remaining in Pennsylvania, with an average weight of 58 pounds, down from an estimated 8.2 million units in 2015. Residentially, the combined, estimated weight of tube televisions and CRT tube computer monitors in Pennsylvania is 396 million pounds. This is the equivalent weight of approximately 3,473 Statue of Liberty monuments. With limited locations that are reasonably accessible for recovery of lead-glass computer monitors and tube TVs and with significant amounts of these and newer electronics in our recycling, it is easily demonstrated why Pennsylvania needs a consolidated electronics recycling law. Unfortunately, under Pennsylvania’s Covered Device Recycling Act, Act 108 of 2010, consumer outlets for recycling of waste electronics continues to decline. According to Pennsylvania Recycling Markets Center 2016 findings, only 32 collection sites state-wide accept all covered electronic devices at no charge to the consumer as specified in the Act. A consolidated, specific law, that is not deeply layered, that does not lead to interpretation. Fair, competitive, and balanced criteria for establishing and sustaining collection, transportation, and recovery of electronics. Expanded options for management of tube TV and computer monitor lead-containing glass. Require reporting details that allow for data tracking and trend analysis, such that business forecasting and scientific review can be done. Offer sound, organized, infrastructure such that a disposal ban of electronics waste is not a ban without a plan. Experts helping industry decision makers, the Pennsylvania Recycling Markets Center, Inc. (RMC) is a non-profit corporation with mission to expand and develop markets for recycled materials. Services include one-on-one materials management technical assistance; business growth consultancy; industry outreach and programming; applied research; and service as a portal to recycling markets development information – fast tracking time to market for use of Pennsylvania’s recycled materials. The Pennsylvania Recycling Markets Center is funded in part by the Pennsylvania Department of Environmental Protection, and is headquartered at Penn State Harrisburg. 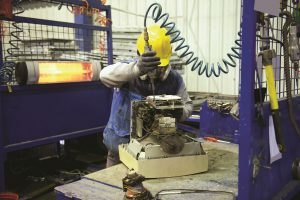 A comprehensive report prepared for the Closed Loop Foundation digs deep into the current recycling landscape for e-scrap and electrical appliances. 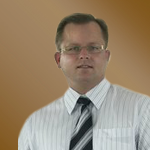 It also notes the industry needs to equip itself to handle a shifting material stream. Read the full article at Resource Recycling. More than 700 million pounds of consumer electronics were recycled in 2015 through the eCycling Leadership Initiative.